In Swahili, Safari literally means Journey. 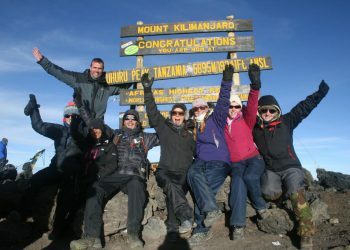 Climb Kili is the premier trekking company for climbing Kilimanjaro and Tanzania safaris. 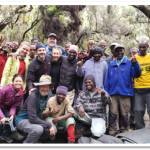 Our Kilimanjaro guides have been assisting adventures from all over the world climb Kilimanjaro for nearly three decades. 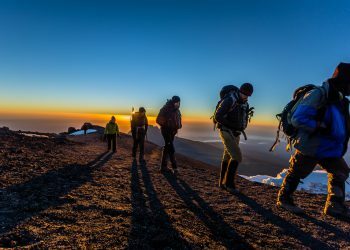 At Climb Kili, we pride ourselves in providing the safest Mt Kilmanjaro treks with our certified equipment and professional Mt Kilmanjaro Guides. Make your reservation for a Kilmanjaro tour today! 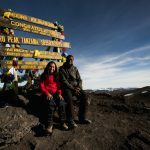 What Sets Climb Kili Apart? Our greatest compliments come from those who have taken the journey with us. 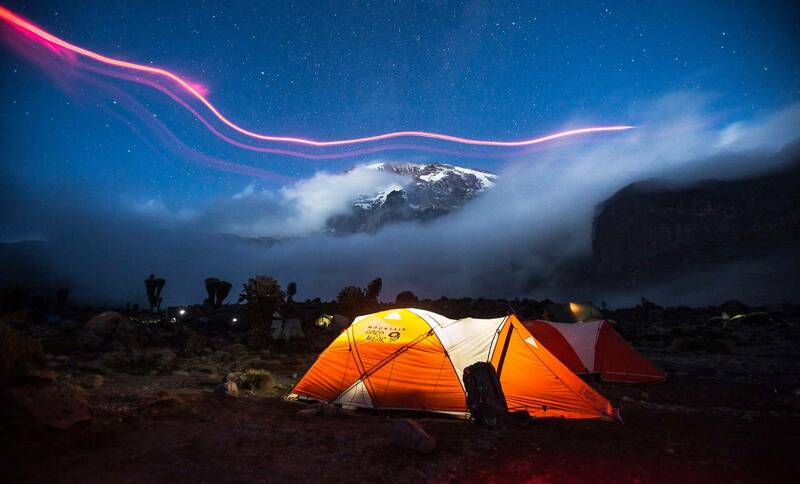 If you would like to share your comments, photos, and video please email testimonials@climbkili.com. If you would like to contact past clients directly, please Contact Us for a list of References. Attached is my favorite picture from our summit experience. Also, personally, I really have to attribute my being able to complete the summit of Kilimanjaro to the encouragement from Kanji (Emanuel). Had he not been such a positive person I don’t know if I could have completed the climb. The entire staff of porters, cooks and guides were so friendly and helpful at all times, adding to the view into Tanzanian culture and the wonderful values shared by our new friends. 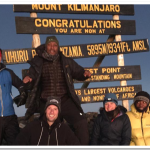 Hope you are doing well, just wanted to drop you a quick message to thank you and all of the climb Kili team for such an amazing and memorable experience. From start to finish it was organised perfectly, with an easy pick up from the airport and the kindest staff at the lodge. We returned from the climb on the 14th and I think both Beverly and I were almost in tears with having to leave our amazing guides. Raymond, Dustin and Eli shared so much of their knowledge and kindness with us, adhering to any request we may have and going out of their way to make sure we were happy and comfortable. The porters were some of the most incredible people I have met- with Beverly unwell I was guided perfectly by Nesto and Allen on summit day and I felt so safe in their hands. I really cannot put into words how amazing all the mountain staff were during the climb. From learning Swahili, to seeing animals and singing and dancing the whole thing was one of the best adventures I’ve ever had the pleasure of participating in. The staff were so patient when some of the climbers required extra help and always made sure that everyone’s individual pace and needs were catered for. Simon’s food was above and beyond what I ever expected! To be able to have fresh fruit and veg each day was a luxury that I cannot believe I received from the top of a mountain!! I am so sad this experience is over and I cannot thank you all enough for everything. Each individual porter (Nesto, Allen, Barack, Po-Po, Jacko, Poe to name a few!) will all have a place in my heart as their kindness and generosity has left me feeling so humble and appreciative. No need was too much And everything they did was done with a smile. 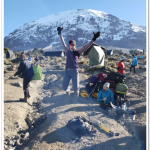 I have been truest touched by the people I have met out here and thank them all for all the laughs, dancing and singing that made my Kilimanjaro experience so amazing! I definitely will be back to climb again and will of course be using Climb Kili!! I LOVED my trip! Oh. My. God! Seraphin, Douglas, and JonJon were AMAZING!!!! The. Best. Guides. Ever! Which I’m sure everyone says about their guides, but I’m telling you these three were THE BEST!!! They got us all up that mountain and back down again! Seraphin is clearly working his passion. The pure look of joy on his face especially on summit night kept my nerves calm and allowed me to keep focused on our dream. Seraphin, Douglas and JonJon had a mantra for us – One Team – One Dream. It was perfect! I’m sure we are not the only “team” with a “dream” that they have lead and continue to lead, but they made us feel like we were! And I’m just really happy and proud to be a part of their team that reached its dream! I completed the Trip Adviser post, I’m hoping to put together a video/slide show as some point as well. We have SO MANY pictures, one of us was a professional photographer, which was a treat. I’ve attached a couple of my favorites. Thank you! Thank you – for providing an outstanding, well organized company with such nice, amazing people – from Seraphin, to JonJon, to Douglas to ALL the porters, to Dana and all the hotel staff, this trip had been a dream for 10 years, in planning for 2 years and I’m still in awe that it’s now behind me. I don’t want to let it go, I’ve been home two weeks and I still look at my pictures everyday because something in my day to day reminds me of something from my eight amazing days of adventure. Thank you so much for everything! We had the most extraordinary time. I absolutely loved everyone on our crew. Raymond and Dastin were truly amazing guides. They went above and beyond for us at all times, even holding my hand down the snowy steep trails. I felt safe every step of the way during this journey. And Simon is the most amazing cook, we had the best food on the mountain. Everyone was so much fun and full of energy, they made us feel like family. I’m constantly recommending you guys and my crew to anyone who asks. I am forever grateful for this incredible journey I was able to complete and will cherish the memories for the rest of my life. I will be creating a vlog video with my entire journey. Once that link is created, I will also send it to you and post it. I have attached a few pictures below as well. I’ve been meaning to drop you a note for a couple of weeks now that I’m back from Africa. FIrst off, I want to thank you for all of your patient help in preparing for Kilimanjaro. I never felt like there was something I was missing as far as information goes. From the moment I was picked up at the airport until drop off, the team in Tanzania was just excellent. Dina was so great to work with and all of the other staff members at the lodge were so helpful and friendly. Our guide, Seraphin, and his assistants Mike & Earnest, were always attentive and watching to make sure we were healthy and strong. We did have one person who suffered from altitude sickness/dehydration when crossing Lava Tower Camp, but Seraphin was right there with her and she recovered the next day and was able to summit successfully. The food was good and the chef (Pancake is what everybody called him) was always asking if everything was good and if we wanted anything else. He did adjust a bit to add some more protein to our diet after the second day which was helpful! The equipment was good – sleeping tents were good quality and held up well, toilet was MUCH better than using the camp toilets! I have recommended you to several people I’ve talked to about my trip and hope they are able to climb Kilimanjaro with you one day. I also saw Michael Kirungi when I was in Uganda and gave him a debrief on my experience – he was pleased that everything went so well. I did suggest that he take the trip one day himself so he has firsthand experience of what he’s recommending. Again, thank you for everything – it was really the trip of a lifetime. 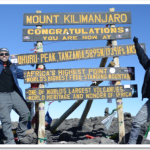 The Climb Kili organization as a whole were amazing from first inquiry to summit. They truly go above and beyond to make this a once in a lifetime experience for all of its guests. The hotel at summit lodge was very comfortable and has a nice pool. The staff here were fantastic. So friendly and welcoming. They always did whatever they could to make your stay comfortable. It was a nice home away from home. 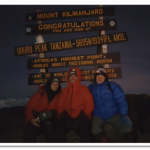 We climbed the 7 Day Machame Route. The route itself was beautiful. I loved the change in scenery each day. Our guides, Manny, Johnny and Steve were GREAT! Upbeat, positive and encouraging the entire time. Their goal was to get us all to the top SAFELY and they did just that! Manny was very attentive and aware of what was happening with each of us and made sure we were all looked after properly. Where do I start with the porters. Superhuman and amazing! They’re job is so hard and challenging but they do it everyday with a smile and positive attitude. They work so hard to make the climb seamless and effortless for you. We truly couldn’t have done this trip without our fantastic team of guides and porters!!! We also did a 3 day safari with a flight into the Serengeti. So awesome! When we’re arrived at the airport in the Serengeti we were greeted by our guide, Victor. We were so lucky to have him as our guide. He is the kindest, sweetest, man with the best bush eyes! He was so knowledgeable and answered any questions we had. If he didn’t know. Her would look it up for us. We absolutely loved our time with Victor. He went above and beyond to make our Safari spectacular. Stopping at the masaai village was one thing I would avoid. It was $50USD per car to stop in and they truly looked like they didn’t want to be there. It didn’t seem authentic at all. I found it very uncomfortable and the people kept asking for more money the entire time we were there. It seemed to just be a money grab for the people in the village more than a learning experience. 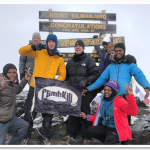 That aside, my experience with climb kili was wonderful and I would highly reccomend them to anyone who is looking to book either adventure in Tanzania! You won’t be disappointed. I had an amazing time! The crew was amazing, taking care of our needs and having camp ready and comfortable for our arrival. Nestor did a great job getting us ready in the morning and getting us to the tent for our meals…always with a smile! The food was great! So impressed with what Simon could pull together with only a camp stove. I think my favorite meal was the grilled cheese and chicken. And the birthday cake was an unexpected surprise! Please thank him again, it really made my day. That and the crew singing me happy birthday….I couldn’t have asked for a better 40th birthday! Also – please thank Dustin and Raymond. They really looked out for us, setting a good pace and checking in on how we felt. I got a little light headed on summit day and Raymond and Dustin were constantly checking on me, making sure I was drinking water and eating and finally Dustin carried my pack. I really couldn’t have made the hike w/o them. My family also really appreciated the daily emails w/ pictures….thank you! For a summit picture, I’ve attached two. One is w/ our group, while I arrived to Tanzania alone, I really couldn’t have done it w/o everyone, and I also added a birthday picture, a wonderful day for me! Alex and I just returned back to London last night. 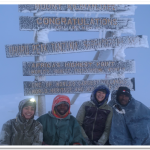 We wanted to thank you and Climbkili crew for all your help and a really great adventure! Particularly wanted to acknowledge Hermant and Goodloves crew!! Absolute professionals and experts as mountain guides and really good fun too. We noticed they add so many little extras to make the experience a cut above the rest (even among other Climbkili crews). Private drinking and handwashing facilities at caml, hot tea on summit night ascent, detailed briefs with gear tips for the following days, and tested stratergies to preventing Altitude sickness etc. These make such a difference when undertaking a challenge like this. We are not certain that we would have reached the summit without the help of these two and their team. We felt in safe hands the whole time. And when Alex did lose vision in both eyes on the summit descent from dust, Herment/Goodlove took great care in assisting her to camp safely. We saw other groups where hikers were stumbling down dangerous sections of trail, looking drunk with fatigue and Altitude sickness, with their guide unattentive and some metres infront of them. Really looked like a nasty fall or faceplant waiting to happen! 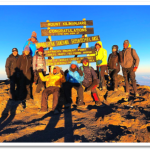 Will be passing on our recommendations for Climbkili and this crew to any family and friends headed to Kilimanjaro. Please pass on our thanks to everybody in Herment and Goodloves crew and the office based staff who made this a trip of a lifetime for us. 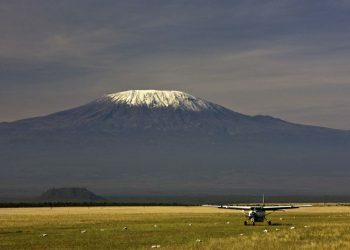 First trip to Tanzania would not have been as much of a success if not for Climb Kili. The trip started out with a 3 day safari. I thought this wouldn’t be long enough to see much, but the safari exceeded my expectations with just day one. Our driver really knew the area and tailored the trip so that we could maximize what we saw. After the safari we returned to our hotel and started climbing the following day. The porters and guides took care of our every need and went out of their way to make sure everyone summits. If you’re worried about not getting enough food, don’t be, you will be feed more than enough. They did a great job of assessing our group to set the pace on each day of the hike. Although we went during the dry season, our first few days were met with heavy rain. Luckily last few days were clear skies as we took in the views from the rooftop of Africa. I wanted to reach out and thank you both for helping out with the planning for my trip last week up Kilimanjaro with Herment, Raymond, and their crew. Herment and Raymond were amazing guides. I was extremely impressed with how much both of them knew about the mountain to include all the information on types of plants, animals, etc. we would come across. The entire team always made us feel welcomed. From the first day to the being dropped off at the hotel, everyone was very friendly and made the trip something I will never forget. 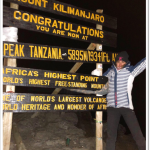 I will, without a doubt, always recommend Climb Kili and specifically Herment or Raymond as guides for anyone that asks me about heading over to Tanzania for this type of adventure. I hope to bring your company business in the future whether it’s through safaris with my family or climbing the mountain again.